Although pandas have very few natural predators, they are at risk of being preyed on by jackals, leopards and yellow-throated martens, a type of weasel that feeds on panda cubs. Snow leopards are a definite threat to panda bears, as they reside in the same mountainous areas of central China. 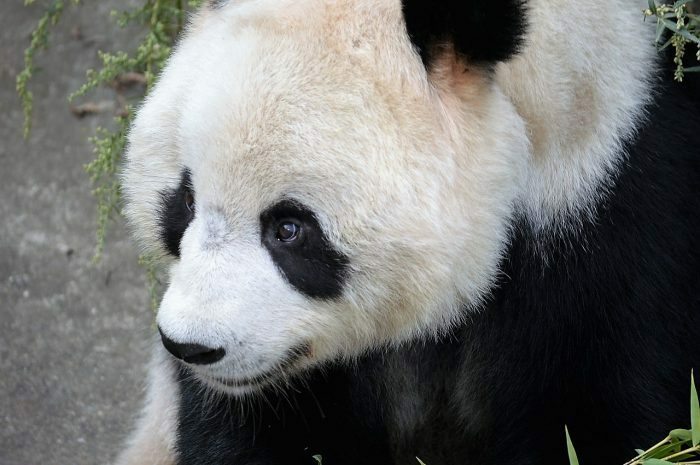 Pandas used to reside in the lowlands of central China, but due to human deforestation, farming and other developments, pandas have largely retreated to the more mountainous areas. Since this is where many snow leopards reside, this has affected the panda population. Humans are the greatest threat to the panda population, due to both poaching and illegal trade, as well as farming and deforestation practices.